Action Figure Youtube Channels List. The Best Action Figure Youtube Channels in our index using search and social metrics. Subscribe to these youtubers because they are actively working to educate, inspire, and empower their audience with frequent updates and high-quality videos. About Youtuber ShartimusPrime channel features videos about action figure reviews mostly speaking to the adult collector. About Youtuber Welcome to the Pixel Dan channel! Join toy enthusiast "Pixel Dan" Eardley for reviews and more on your favorite toys and action figures! About Youtuber Follow to keep up with news and updates about action figures from TheReviewSpot. About Youtuber I have the most extensive library of collectible action figure reviews on the internet! The thing to note about my reviews is that I make them for the viewers. If a figure is great, I'll tell you. If a figure is trash, I'll make sure you know. I'm qualified to review figures because I've spent years making high-end customs. I know the ins and outs of just about every variety of action figure. About Youtuber Your home for action figure news, toy reviews, discussion, and more! On our YouTube channel we regularly review action figures from popular properties like Marvel Legends, Masters of the Universe, Star Wars, Teenage Mutant Ninja Turtles, Game of Thrones, and many more. About Youtuber My name Is Trey White, I am the creator and producer of MyDamnToys. MyDamnToys is the home of the most professional and EPIC WWE figure videos on YouTube. On this channel, you will find WWE figure reviews, the best quality custom figures, and more. My goal is to make MyDamnToys the most enjoyable and EPIC WWE figure channel in the world! About Youtuber My channel is full of all different kinds of WWE toys and every thing WWE. I review all kinds of stuff like WWE figures. The one thing I am very known for is my WWE action figure set up's, that is when I set up a bunch of WWE action figures in awesome ways! About Youtuber Sideshow Collectibles is a specialty manufacturer and distributor of the most highly sought-after licensed and original collectibles, from popular movies and comic books including Star Wars, Marvel, DC Comics, Aliens, Predator, Terminator, Indiana Jones, G.I. Joe, The Lord of the Rings, and many more. About Youtuber Hi, I'm Darais. I'm a Freelance Toy Photographer and Toy Reviewer. This channel is where you can find my work, from various Toku, Marvel, DC and other collectibles. About Youtuber Subscribe us to get daily action figure news from around the world. About Youtuber My name is Sean and my YouTube name is DareDevil 19. I'm a action figure reviewer and I Love collecting figures! I've collected figures on and off for a long time and now it's my favorite hobby and it makes me happy. Here, I will post my figure reviews, figure news videos & other figure related stuff. About Youtuber I am Mr. Evilcheese. I used to be human until I was bitten by a radioactive piece of cheese from hell. On that day I became Mr. Evilcheese. I now use my evil powers of cheese to make Action Figure Review videos. About Youtuber Hey guys, welcome to my channel SuperSorrell, I am an action figure toy collector and enthusiast. I am an out of box collector and my channel tagline is "I unbox it, so you dont have to". I like to collect action figures from my favorite franchises including Star Wars, DC comics, and Marvel. About Youtuber A selection of animated adventures of Doctor Who featuring Character Options and Underground Toys action figures. You will also find action figure and televised Doctor Who episode reviews as well as a few other bits and pieces relating to Batman and Masters of the Universe. About Youtuber I've been collecting for as long as I can remember, but one thing has always been missing. I've never really had an outlet where I could share this amazing hobby and my collection with other collectors. Discovering all the facebook groups and pages and all the youtube channels dedicated to this amazing hobby has really changed the way I collect and I thought I'd start to share my collecting journey with you guys! About Youtuber Hey! I am Action Figure Enthusiast. This channel features dioramas for action figure photography. About Youtuber Whether you're starting to collect more figures, or your house is crammed to capacity after years of toy hunting, our videos are filled with entertaining info on the lines you want to know more about. About Youtuber Hello guys, My name is Eric. I am a big S.H.Figaurts, Figma, and all kinds of 6 inch figures addict. I would like to showcase my collection with all of you out there who shares the same interest. Although I have only been collecting for 4 years, I do intensive research on figures on a daily basis. About Youtuber Yes! It's That Junkman! Join the "junk" as we cover Star Wars movies and Toys but Kenner toys, 80s toys and movies and anything pop culture! About Youtuber Whats up everyone my name is Mikey, I created this channel as a hobby to create content and meet with other collectors who are just like me. About Youtuber This channel features anime, movie and action figures review videos. About Youtuber This channel is for all the Transformers Masterpiece Fans who want to know more before buying or getting into collecting. The reviews and news are done by a fan for fans. About Youtuber Action Figure Junkies (AFJ) is the premiere action figure channel on the web. Our videos provide industry news, reviews, columns, "hunts", and more. About Youtuber Follow to kepp up with action figure videos from Figures of Action. About Youtuber Hello everyone! I've been collecting figures for almost a year now but I'm fairly new to the figure community, I love collecting figures and so I thought I'd share my collection with the world. About Youtuber Action Figure Comedy is a pop culture parody channel. Using action figures. In silly little videos. That's about it. About Youtuber A channel for people that love everything toys! I plan on doing toy talks, reviews, unboxings, toy hunts, and on every Sunday, do a live Toy Talk Show! 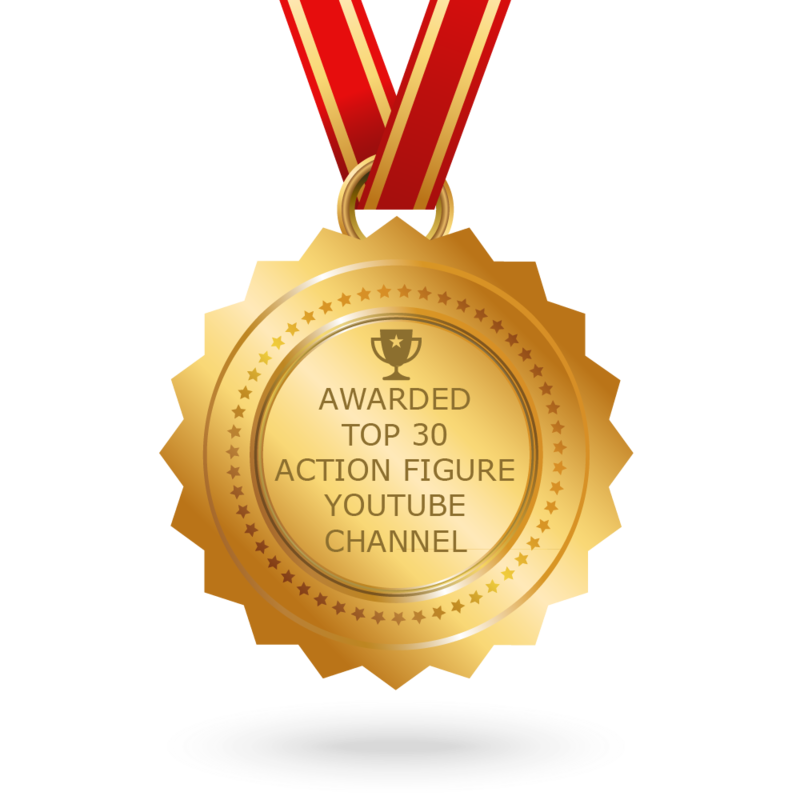 CONGRATULATIONS to every youtuber that has made this Top Action Figure Youtube Channels list! This is the most comprehensive list of best Action Figure Youtube Channels on the internet and I’m honoured to have you as part of this! I personally give you a high-five and want to thank you for your contribution to this world.